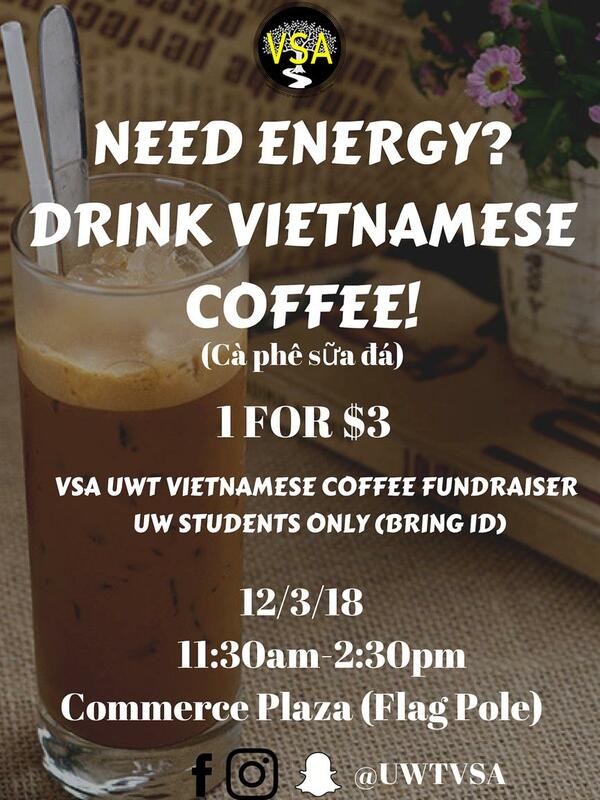 Monday, Dec. 3, 2018, 11:30 a.m. – 2:30 p.m.
Dead week is here so come and buy yourself some Vietnamese coffee to boost your energy! It's only 1 for $3!! Remember to bring your UW ID card!